I thought I would share a bit of my latest quilting project. 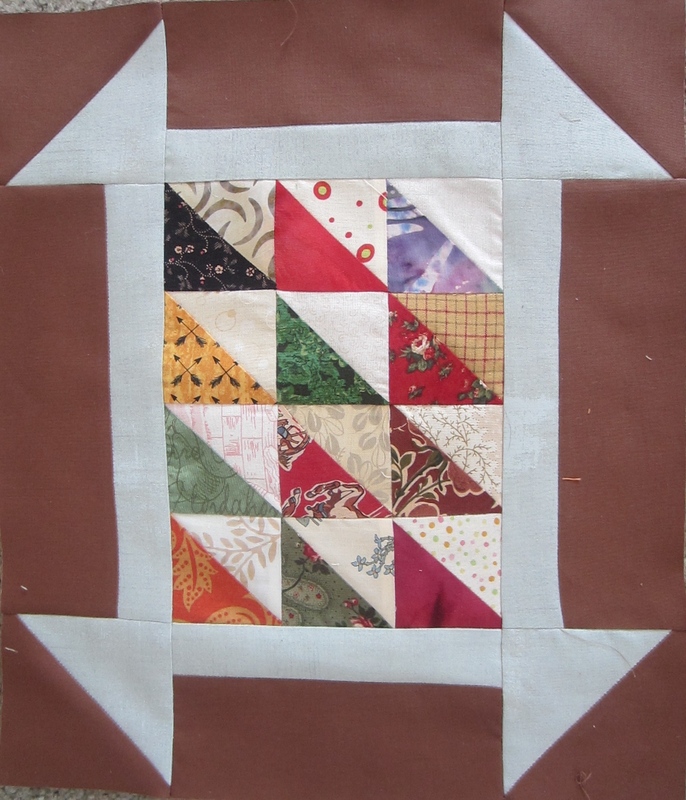 I designed this block to use several half-square triangles I have been exchanging with members of my quilting bee. We plan to make and exchange 24 of the little squares with triangles (in the center of my block) each month for the next 5 months. 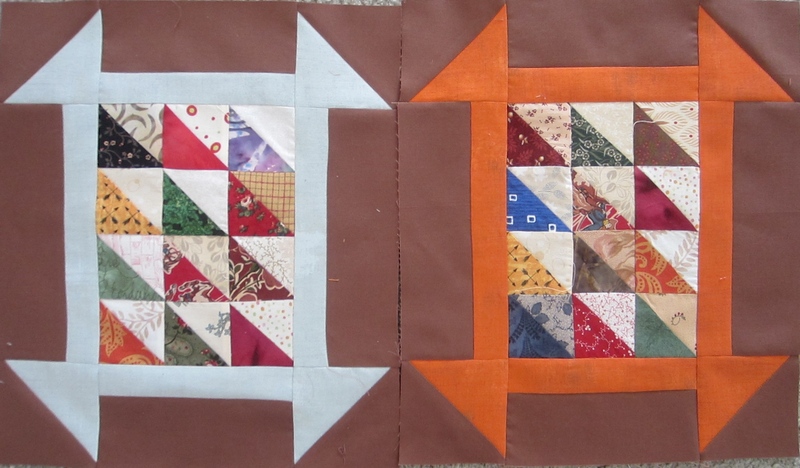 I plan to make a large quilt to go on the wall in my living room. The colors come from an area a rug that has brown, rust, aqua, gold and red. As you can see, I only have 3 blocks finished so far. I plan also to design some simple appliqued flowers for the borders or sashing. I’m still designing as I go. I keep you posted on my progress.